Like any other locksmith service, our most sought-after service is emergency locksmith service. It is mostly during emergencies that a person searches for a “locksmith near me” on the internet. 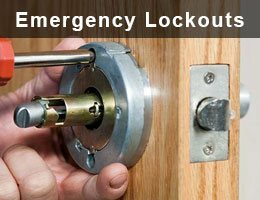 If you are based out of Houston, TX or passing through, don’t hesitate to call us anytime for a lock & locksmith emergency. Our technicians will make sure they reach you as early as possible and solve your problem within minutes. We are 24/7 available for our clients and take pride in having served the local community for years now. You must be thinking what makes us so quick and reliable? First of all, our customer care representatives understand your need to the point so that there is no confusion. After they have understood your request, within minutes a mobile locksmith van our fleet of vans will head to your location. These mobile units are fully-equipped to take on any emergency. You can expect our technicians to change locks, unlock cars, copy keys within minutes. Our team takes actions swiftly while making sure no detail is missed. Although our response times are best in Houston, TX area, we don’t charge you astronomical figures for providing such reliable services. We know that most of the times a person would be willing to pay anything to get out of an emergency situation, but we don’t take undue advantage of our client’s situation. Our affordable locksmiths make sure they maintain quality and provide you the best locksmith service. When we are working on an emergency we try to resolve your problem swiftly. But we make sure that while providing a quick solution we don’t end up causing any damage which can be avoided. In the case of lockouts, we try our best not to damage the lock. For example, cars with transponder keys can be tricky to open. You need knowledge of how the coding of the key works and along with that you need the right equipment to open the car. We, at Expert Locksmith Shop, hire people who have the right knowledge and provide them with the required equipment. This helps them solve any emergency in no time and clients can breathe a sigh of relief. We get the motivation to serve you from the countless of loyal customers who only trust us in the case of a locksmith emergency. They know we will always be there when they need us, no matter the day, time or the date. No matter what the nature of the problem is, we will be there to assist you without fail. 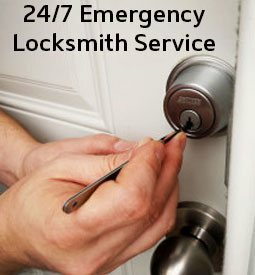 So, save our number 713-470-0698 and get in touch with us for all your emergency locksmith needs and we will make sure we never disappoint you.